Are you an SME support organisation looking to reach out to SMEs and transform their business? Does your organisation wish to provide expertise, skills and knowledge to SMEs across Africa and MENA? Together with in-house business support, GroFin also leverages a strong network of partners in specific functional areas and sectors, to maximise the benefits of such support to potential and existing clients. These partners complement the value provided by our Investment Managers and provide specialised assistance to our investee businesses. As such, to enhance our internal business support offering and develop our portfolio clients’ capacity further, GroFin has over the years been developing strategic partnerships to better assist the underserved entrepreneurs who find it difficult to get much-needed support to enhance the viability of their businesses. 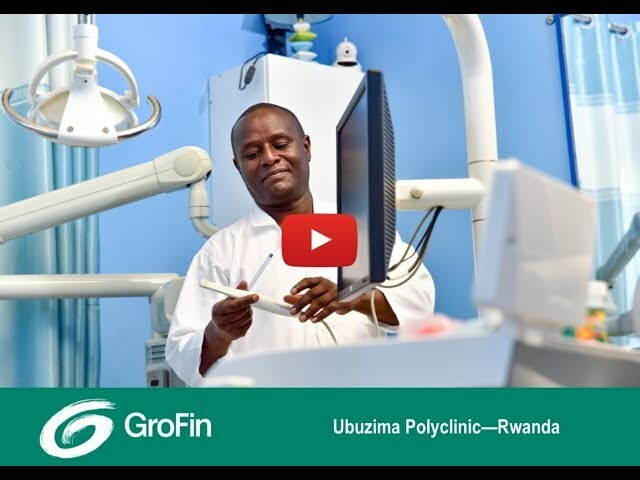 Therefore, one of the key objectives of our partnerships is to allow GroFin’s selected clients to benefit from specialised technical assistance and mentorships offered by the senior specialists in the various sectors we operate in. How do our partnerships help? Together with our Technical Assistance partners, GroFin is able to maximise the impact generated by our investments in terms of capacity building in our investee SMEs. The onward impact created by our investees in terms of jobs created and livelihoods supported is also enhanced by such expert interventions. GroFin has developed strategic partnerships for providing mentoring and networking opportunities to businesses owned and operated by women. Our supported SMEs are provided with the opportunity to gain a fresh and different perspective from external partners who bring with them in-depth industry insights and knowledge of best practices. Through our partners, our entrepreneurs are provided with access to customised business skills trainings, technical assistance, leadership development and access to networks. By linking up with partners, GroFin provides the synergistic benefits of wider industry networks to our potential and existing clients. Join forces with GroFin to help our dedicated SMEs and entrepreneurs realise their vision and reach new heights. GroFin and its partners have been working together to provide their expertise to our potential and existing clients. Through such partnerships, we aim to converge and complement mutual objectives in the domain of private sector development to create sustainable impact. GroFin has already introduced its partners to clients in specific sectors such as Agribusiness, Hospitality, Logistics, Food & Beverages, Healthcare, and Manufacturing. Furthermore, our partnerships with mentoring organisations aim to develop critical skills needed for creating transformational change at scale, with particular focus on underserved segments such as women entrepreneurs. Finally, we also work with partners to identify deal flow sharing and co-financing opportunities, conduct joint industry initiatives as well as rely on their referrals to deepen our reach and support to the target market. Education, Healthcare, Agribusiness, Manufacturing as well as Energy, Water and Waste, besides services such as Hospitality, Logistics and Food & Beverages. Comprehensively respond to the needs of women entrepreneurs on the ground by providing them a constant source of handholding through coaching and mentoring. Provide training and/or critical support to build entrepreneur business and leadership capabilities. By sharing deal flow and exploring opportunities to co-finance SMEs, with a view to better respond to the specific needs of the target market. By partnering over and upskilling clients towards becoming eligible for specific industry programmes, thus increasing the target audience for such joint industry initiatives. By using existing networks to scope the needs of entrepreneurs and SMEs, and guiding them to GroFin to meet any identified need for finance and business support. Is your organisation seeking to transform SMEs by infusing expertise, knowledge and skills into their business? The combined offering of GroFin’s business support and our partners’ expertise works to stimulate the well-being and development of entrepreneurs, as well as the knowledge base of experts and volunteers involved in the process. The net result is enhancement of the viability of entrepreneurs and deepening of impact on the economy, society and the environment. Above all, our partner experts strive to develop growth strategies, manage and mitigate risk and achieve overall sustainability. This makes our entrepreneurs’ businesses more viable and competitive, thus allowing them to contribute to their communities positively through job creation and improvement in livelihoods. See how the GroFin & PUM Partnership transformed Kenya’s Café Deli into a successful franchise. Do you feel we have a potential partnership?